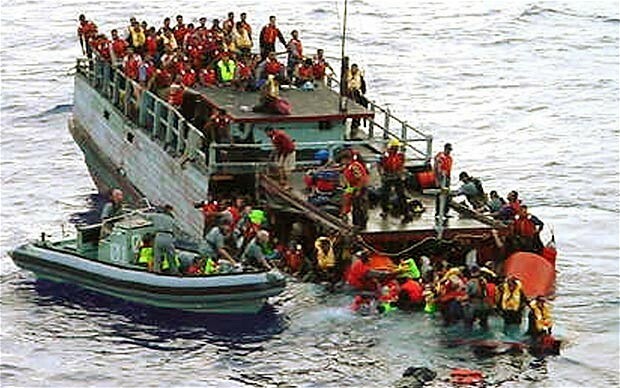 Australia, a popular destination for asylum seekers, has instituted measures to “stop the boats” of those seeking refuge on its shores. “Irregular maritime arrivals” (IMAs) are met with controversial policies including boat turnbacks, detention on the high seas, and offshore processing of asylum seekers in provisional facilities. Conditions in offshore detention have been condemned by the UNHCR as hot and overcrowded, wherein inmates held indefinitely experience debilitating mental health conditions, awaiting a refugee determination process that “is not fair or efficient”. Suicide and incidents of self-harm are rampant. Fatal riots have occurred at a facility in Papua New Guinea, the country with which the Australian government has made a policy to resettle IMAs. Of the “PNG Solution”, the UNHCR questions “whether Nauru is committed, or even capable of, offering long-term and durable solutions to those to whom it owes protection under the 1951 refugee convention”.